There are a great deal of accidents that occur within different parking conditions normally due to the extra hazard of pedestrians. However, the places you park your car can also cause serious hazards to other drivers. Be sure to check your car mirrors before stopping to ensure you create no danger to other road users. You MUST switch off your car engine while waiting for your children, to reduce pollution. Children are less able to judge speeds of oncoming vehicles so are more likely to run into the road. 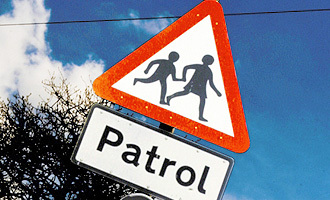 Reduce your speed on approach and when leaving the school area.